The best destinations for foodies in 2017 have now been revealed. Catering specialists Caterwings analysed 11 different criteria in a hundred cities, including critics’ ratings, affordability, diversity of cuisines available and the quality of street food, to determine the world’s best food cities for 2017. Here we bring you the top 50 destinations and explore the essential dishes in each one. Known as the ‘Big Easy’ for its round-the-clock nightlife and live-music scene, a trip to New Orleans is impossible without tasting spicy Cajun food. 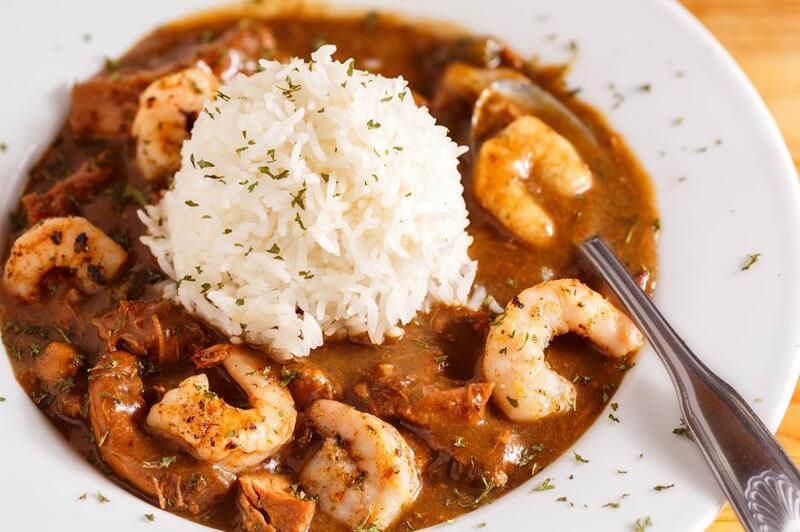 A reflection of the city’s history, traditional dishes like gumbo (pictured), jambalaya and crawfish étouffée feature an intriguing mix of French, African and American flavours. Make sure you don’t miss po’ boys – New Orleans’ most famous sandwich. This southern Italian city is the capital of Sicily and a street food lover’s dream. From deep-fried balls of risotto known as arancini (pictured) to pani ca meusa – a bread roll with fried slices of beef spleen – there’s something for everyone. If street food is not your thing, there are 12 Michelin-starred restaurants for you to splash out at. Located on South Africa’s southwest coast, this port city has loads to explore, including the Cape Malay Cuisine. 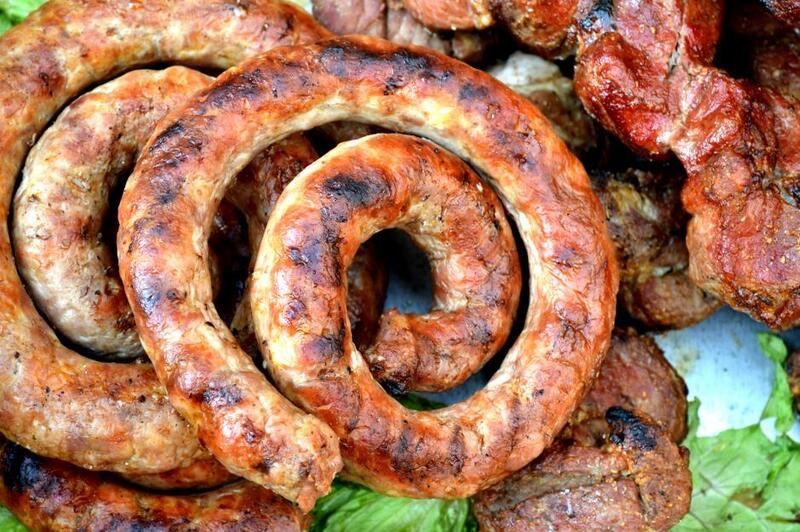 Start with biltong – a type of jerky that’s cured in vinegar and spices, then move on to boerewors (pictured) – the traditional sausage of South Africa. Finish with a caramelised sponge pudding with apricot jam called malva. 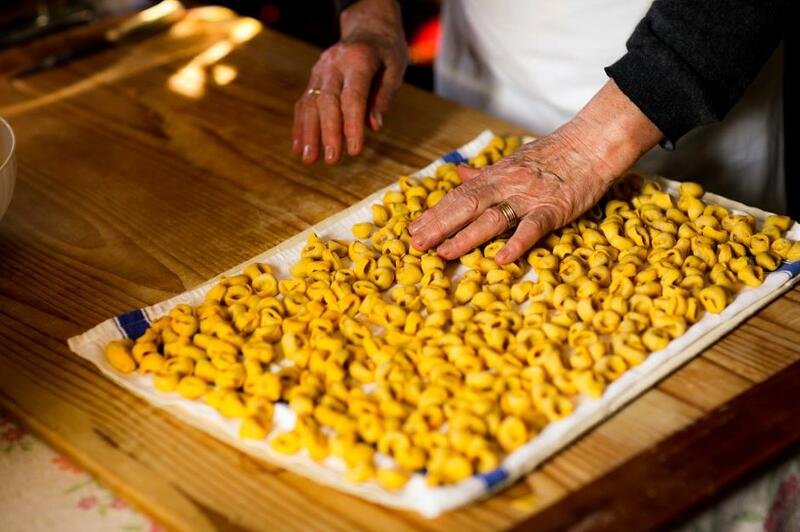 Built on more than a hundred small islands, Venice is a living museum that will please any foodie. Step off the main streets and look past pizza and pasta on the menu. 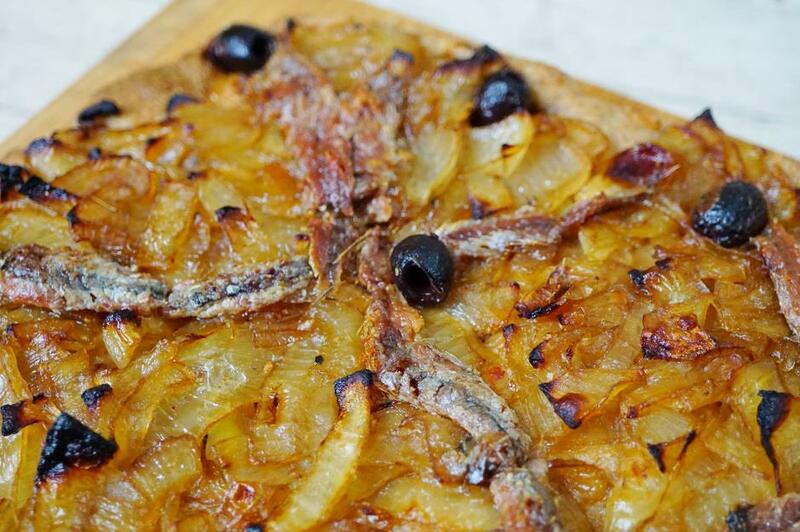 Due to Venice’s unique lagoon and the Adriatic Sea on the city’s doorstep, Venetian cuisine is rich with seafood. Wash all that down with a glass (or two) of bellini – a cocktail of Prosecco and peach purée that originates from Venice. Switzerland is a hub for serious comfort food. 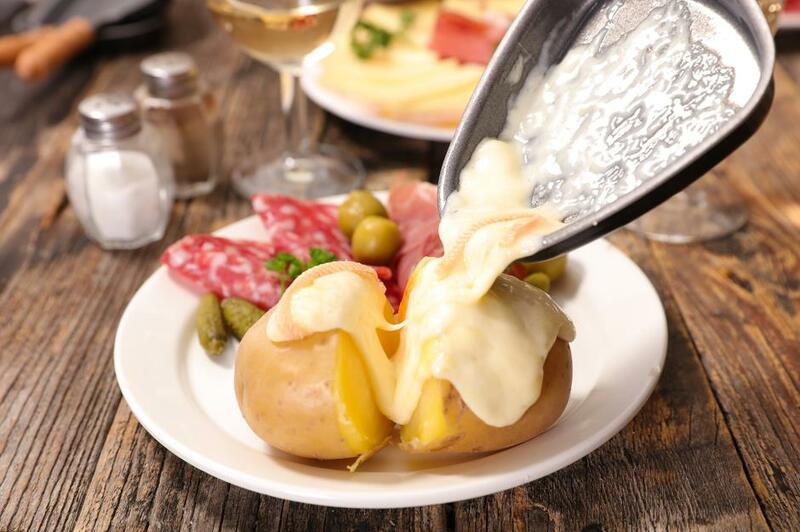 Think deliciously crispy rösti, indulgent raclette (pictured) and the ultimate cheese feast: fondue. And if you’ve still got space in your stomach for a sweet, treat yourself to a nusstorte – a rich dessert of shortcrust pastry, cream, caramelised sugar and chopped walnuts. France’s second-largest city is home to a historic Roman-era amphitheatre, the stunning Basilica of Notre-Dame de Fourvière and le bouchon Lyonnaise. Bouchons originated as casual restaurants for Lyon’s silk workers and to this day they remain relaxed and unaffected, serving delicious Lyonnaise food like quenelles de brochet (fish dumpling in a cheese sauce) and cervelle de canut (white cheese, garlic and herb dip with crusty bread) as well as Lyon’s signature pink pralines. Food should be top of your list in Montreal, Québec’s largest city. First head to one of Montreal’s most famous food markets, the Marché Jean-Talon, the largest in North America, that gathers over 300 vendors in one place. Try Montreal smoked meat, bagels and Beavertails pastry. Although the latter two originate from Ottawa, they’re much more loved in Québec. 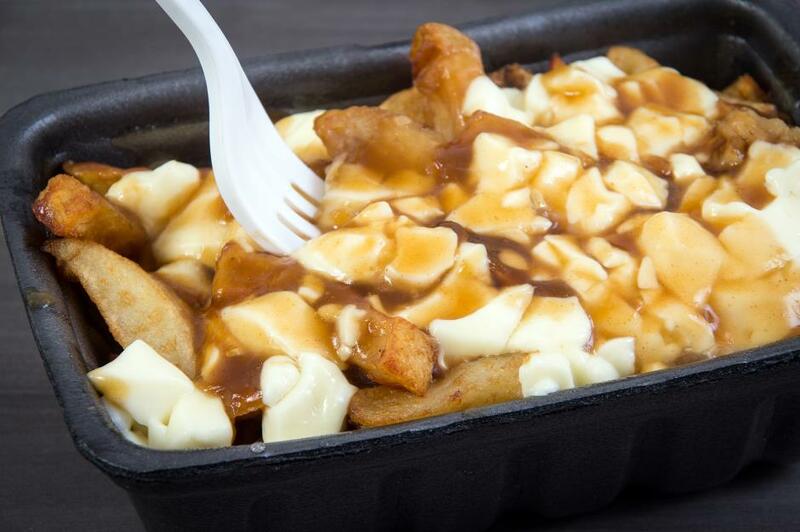 Last but not least, don’t miss poutine (pictured) – the best chips and gravy you’ll ever have. Don’t let this city’s status as a global banking and finance centre trick you into thinking that Zurich is only a sophisticated, fine-dining destination. The cobbled streets of the Altstadt (old town) house many cosy cafés serving the best of cheesy Swiss dishes like fondue and raclette. 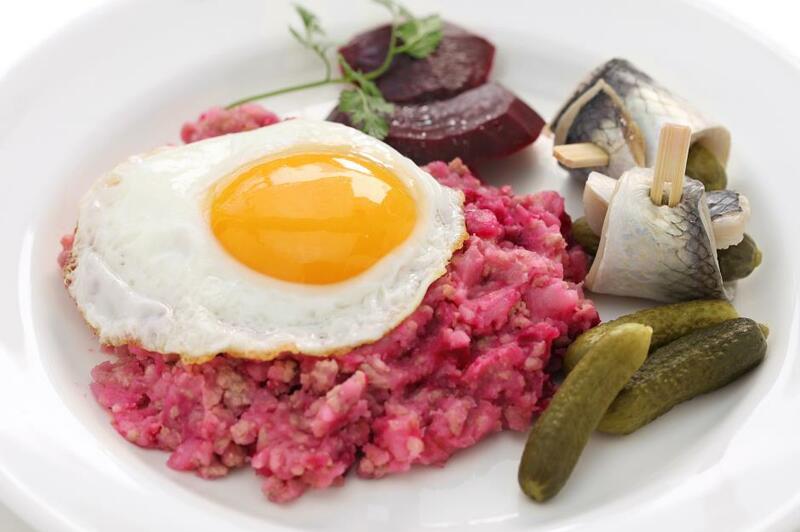 Don’t miss a chance to try a quintessentially Zurich dish – Zurcher Geschnetzeltes (pictured). 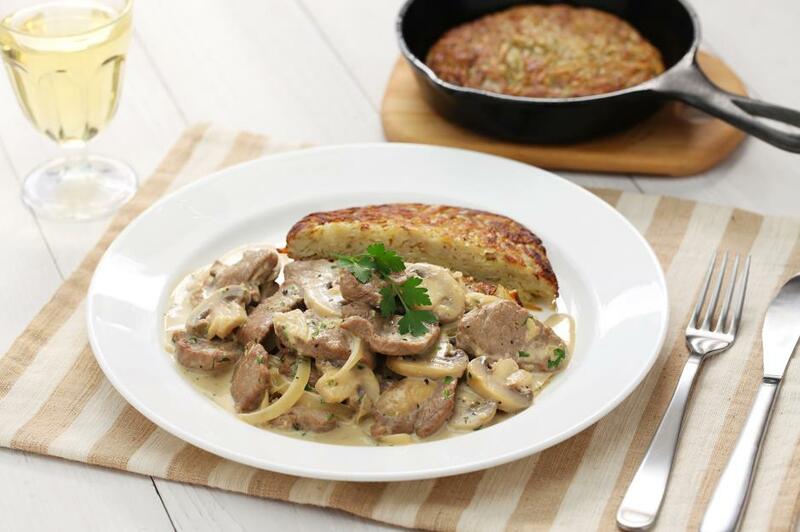 Literally translating as “meat cut Zurich style”, it’s a comforting dish of veal slices cooked in a mushroom, cream and onion sauce and is served with rösti. After you’ve taken in Granada’s stunning Alhambra, a spectacular Moorish palace, it’s time to sample the local delights. 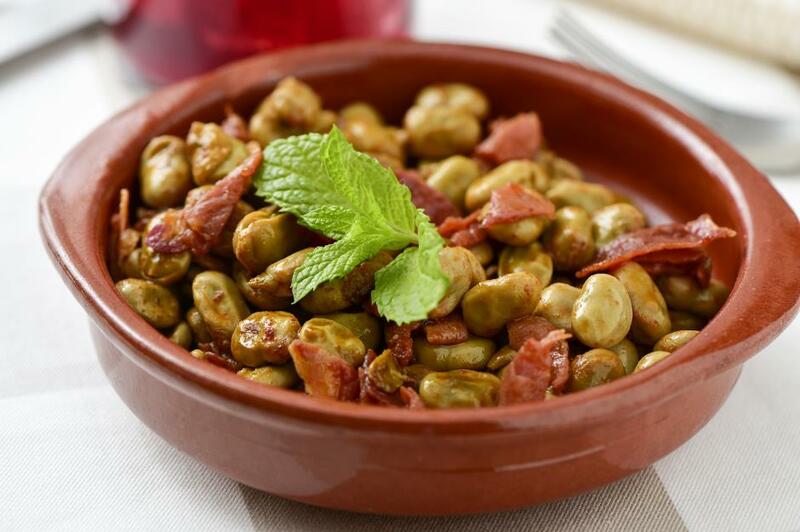 You’ll find ham in pretty much anything, from habas con jamón (sautéed broad beans with Serrano ham – pictured) to plato alpujarreño (a kind of Spanish take on the cooked breakfast). Any Delhi local will tell you that there are two things that stand out about this city – its rich history and the abundance of sensational food. Sampling the gastronomic range here, from sophisticated restaurants to street food, is a serious challenge – butter chicken, biryani and parathas (flatbreads) are all among the best dishes to try. 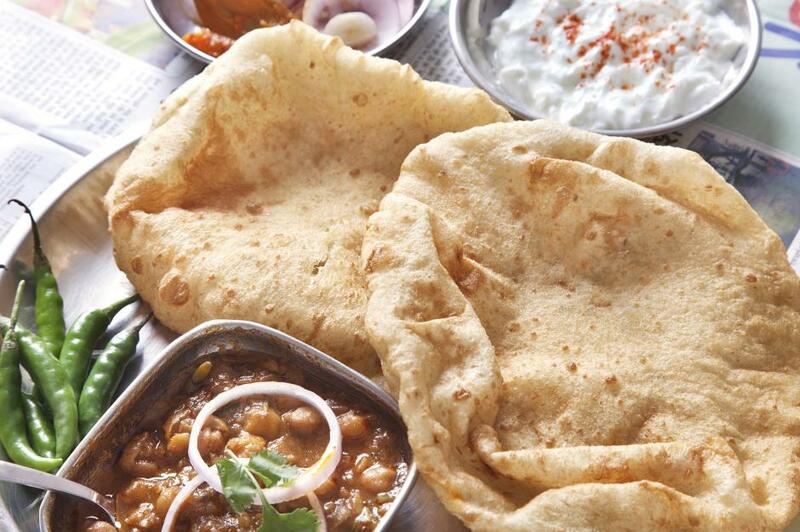 A favourite among Delhiites is chole bhature (pictured) – a hearty Punjabi dish made up of chickpea masala and fried bread, packed with rich, spicy flavours. Modena is not only home to Italy’s luxury supercar industry but also some of the best Italian food. It’s where balsamic vinegar, tortellino (pictured) and, of course, the king of cheese, Parmigiano-Reggiano originate from. The Emilia-Romagna region is also known for many excellent cured meats, like coppa di testa and culatello. Once an important merchant centre, now a bustling university city, Lille is an excellent destination for tasting northern French cuisine. 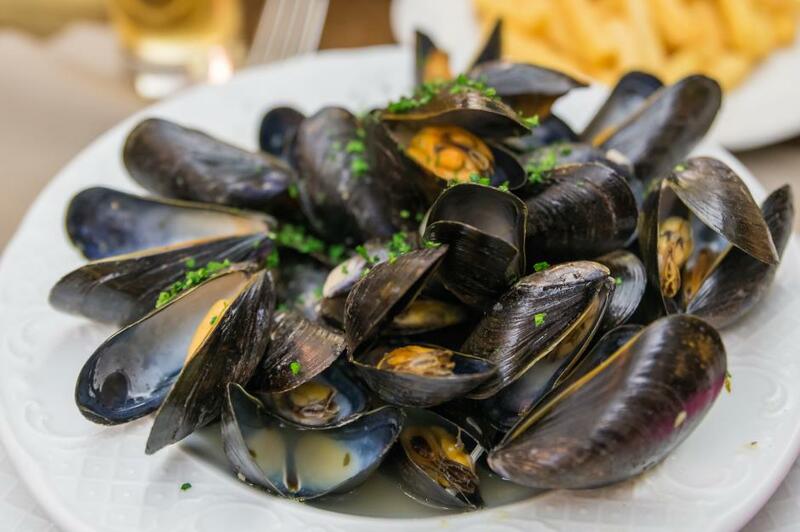 Tuck into a steaming bowl of moules frites (pictured) or waterzooi, a Flemish chicken or fish casserole, and leave some space for carbonade flamande – a rich beef and onion stew made with dark beer. You won’t miss the pungent maroille cheese, a speciality of northern France, that loses its strong aroma when cooked. Enjoy it melted with cream on a brioche dough called flamiche au maroille. 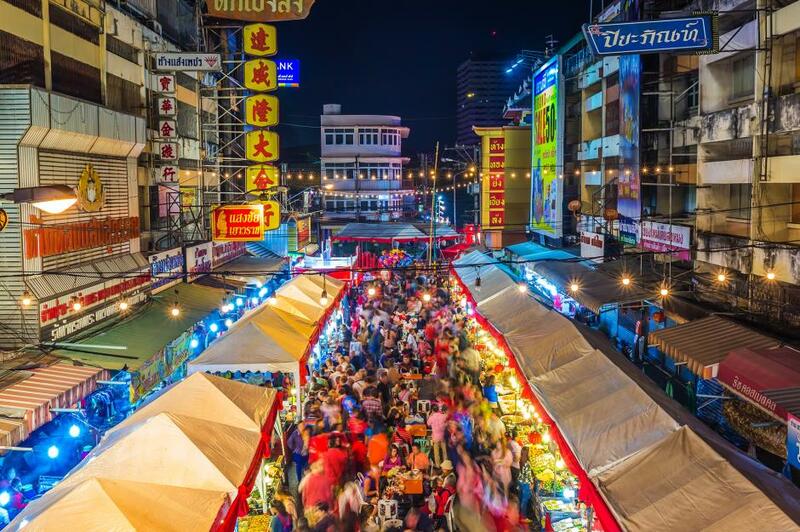 A street food lover’s dream destination, Thailand’s second city has been named one of the best places to eat in the world on a number of occasions. 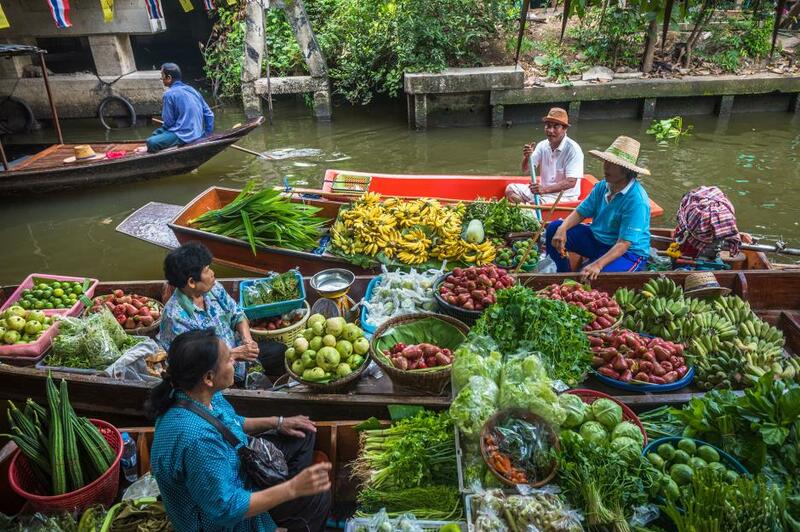 When in Chiang Mai, don’t linger on pad thai, som tum and green curry – there’s a lot more to enjoy from a seemingly endless supply of food stalls and markets. Try khao soy, a bowl of braised chicken and fried noodles drowned in a coconut curry broth. There’s also sai oua – a fried northern thai sausage – a pork and ginger curry called gaeng hunglay and kanom jeen nam ngiaw – a meaty noodle soup. When it comes to food, the capital city of Argentina is pretty much synonymous with beef. A must-have experience during any visit to Buenos Aires is asado. Meaning both the serving of barbecued meat on skewers as well as the traditional way of barbecuing it, asado is a meaty affair with various cuts of steak and offal cooked to perfection. 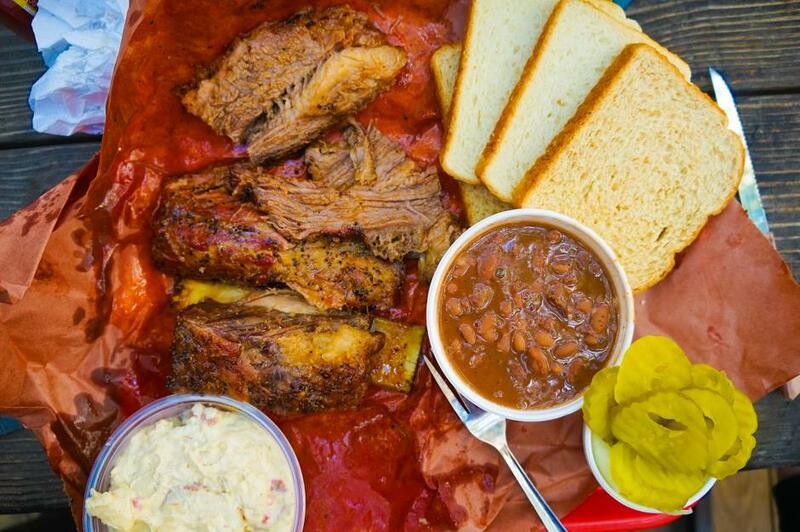 When visiting the state capital of Texas, wave goodbye to your waistline and dive right in all the carbs and calories. From amazing barbecue such as brisket, ribs and steaks to fried chicken and waffles, it’s hearty, Southern comfort food at its best. An essential experience in Florence is sitting down for a bistecca alla Fiorentina, or Florentine steak – a large t-bone, big enough to feed two, seasoned and grilled only medium rare. Enjoy it with a bottle of Chianti, one of the finest Tuscan wines, and finish the meal with gelato. 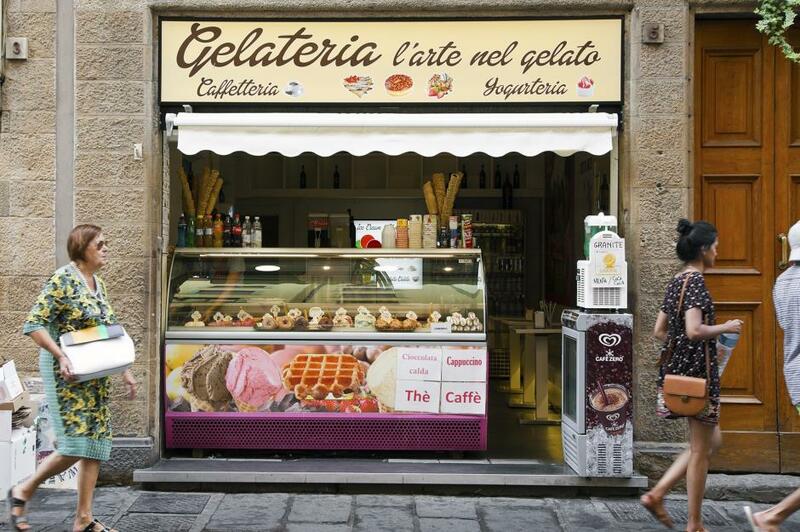 Although gelato is made all across Italy, Florence is home to some of the best in the country. 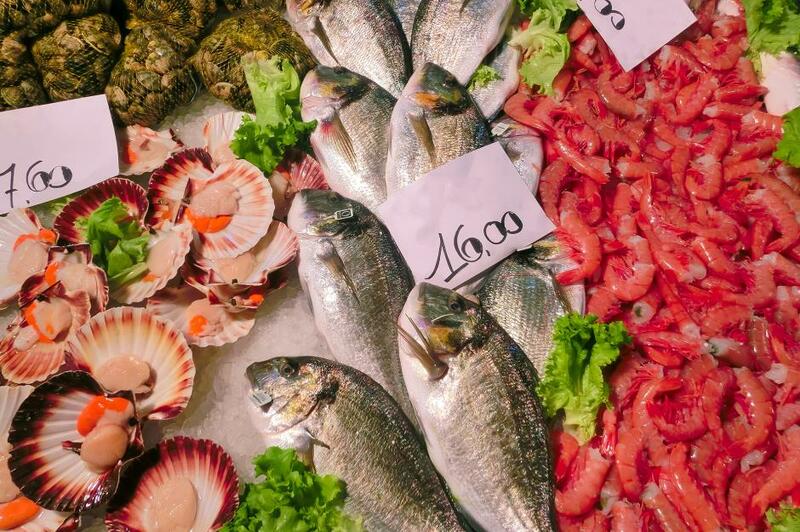 Thanks to its location on the coast of the Atlantic Ocean, Lisbon’s food scene is rich with seafood. 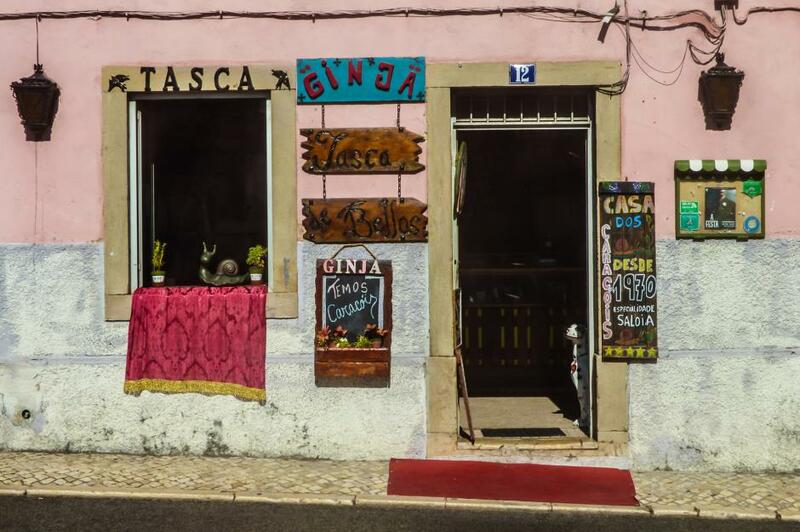 Find a tasca – a small, modest establishment usually with a couple of tables and a very limited menu – and stuff yourself full of sardines, salted cod and octopus, roasted in lashings of olive oil. 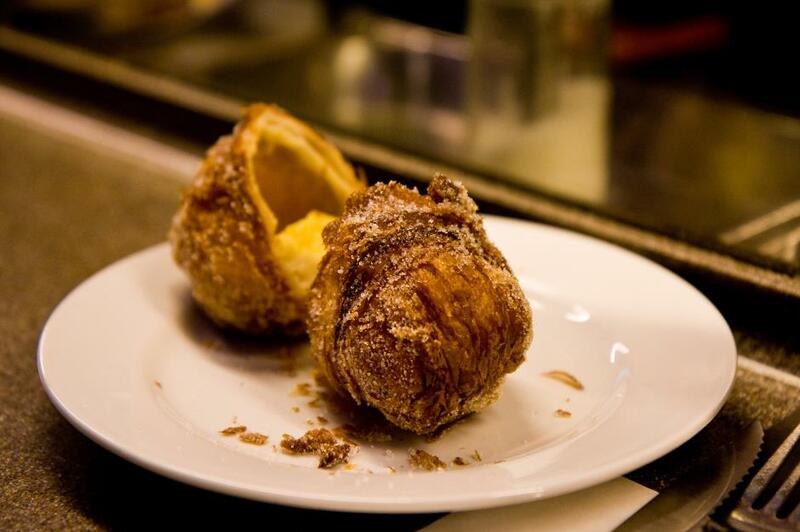 Finish with a pasteis de nata – Portugal’s famous custard tart. Read our Lisbon guide here. 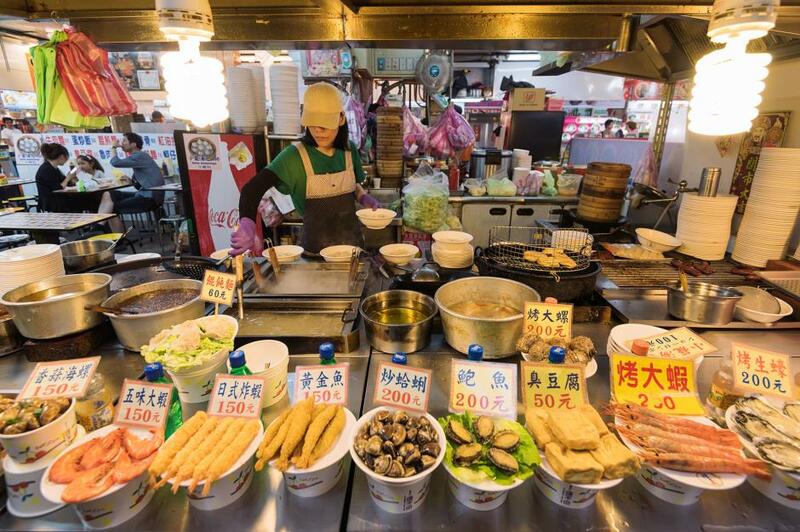 In Taipei, food is on sale round-the-clock with many night markets open until the early hours. 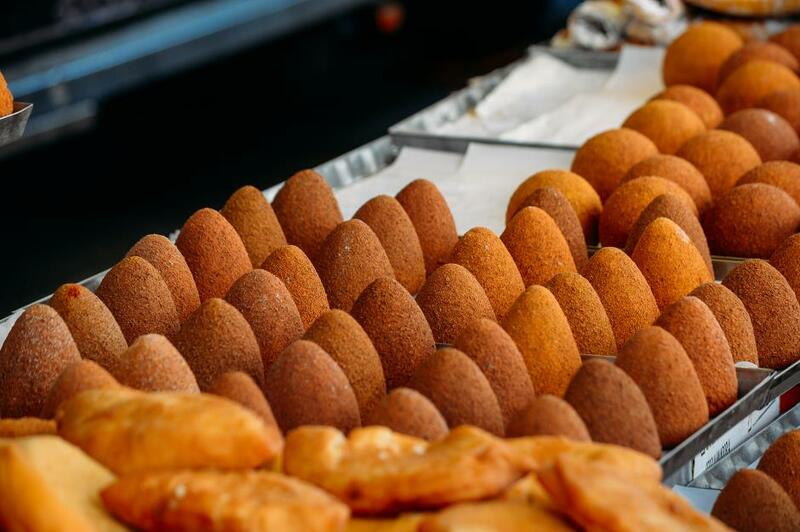 If you only try one thing, make it the fluffy, deep-fried milk balls – one of the city’s favourite treats. In the morning, don’t pass up a Taiwanese breakfast of deep fried dough stick, an egg-stuffed pancake and a wheat cake with egg or beef. For lunch, sample the many varieties of bao (steamed buns) on offer. 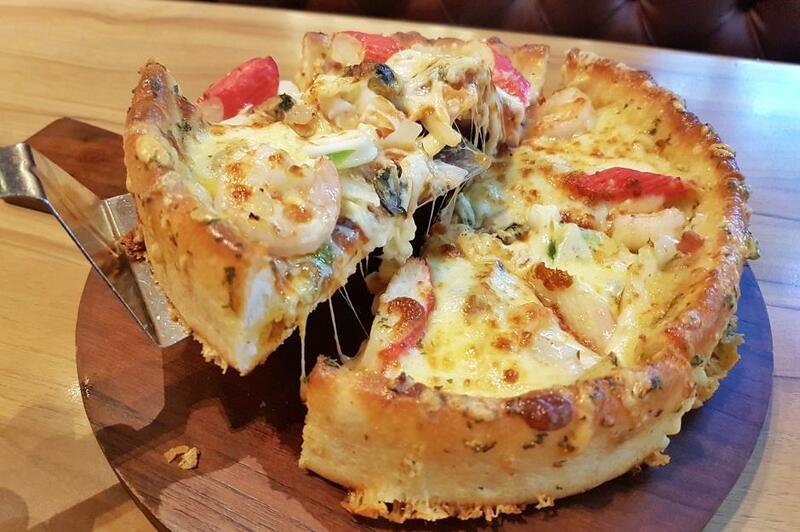 Visiting the Wind City wouldn’t be the same without tucking into some deep-dish pizza. Resembling more of a quiche rather than a pizza, the city’s signature is loaded with cheese, tomato sauce and myriad toppings. There’s also no shortage of places serving up some of the most delicious hot dogs you’ll ever have – another Chicago classic. Bordeaux has some of the best vineyards in the world, but they’re not the only pride of this city. There are plenty of delicious dishes to pair with a glass of a hearty red. 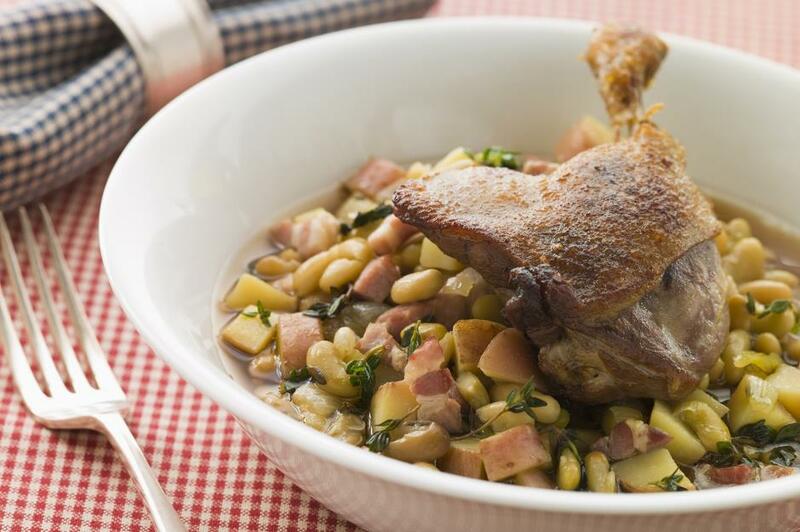 Try a pigeon stew, wild mushrooms cooked with oil, shallots and garlic and, of course, one of the region’s specialities – confit de canard (pictured). Berlin is a brilliant city-break destination that packs sightseeing, shopping and delicious food in one punch. 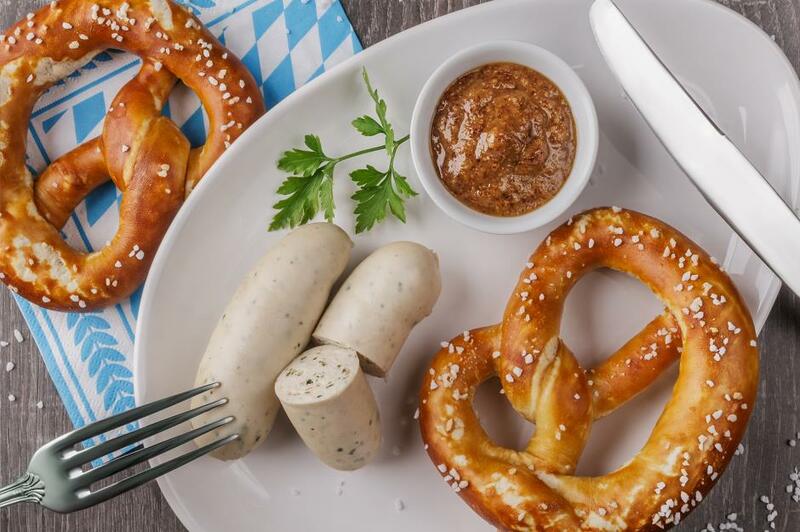 Eat your weight in wursts (there are around 12 sausage varieties), tuck into eisbein (pork knuckles) served with sauerkraut and potatoes, nibble on a fresh pretzel and brace yourself for giant pork schnitzels. Oh, and did we mention the beer? 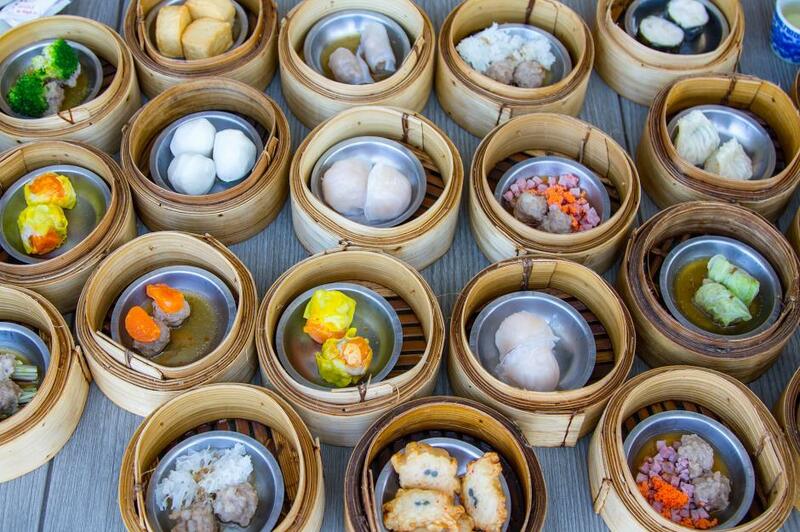 Hong Kong’s food scene is known for two very distinctive dishes – dim sum (pictured) and roasted meat. When in doubt, order a classic dim sum selection – pork dumplings, barbecue pork buns, shrimp dumplings, rice rolls and egg tarts. Don’t leave the city without indulging in some char siu, which is barbecued pork, try siu yuk roasted pork belly, and taste roasted goose with a bowl of fragrant rice or noodles. Read our Hong Kong guide here for more tips. Kyoto is renowned throughout Japan for its refined and delicate flavours. 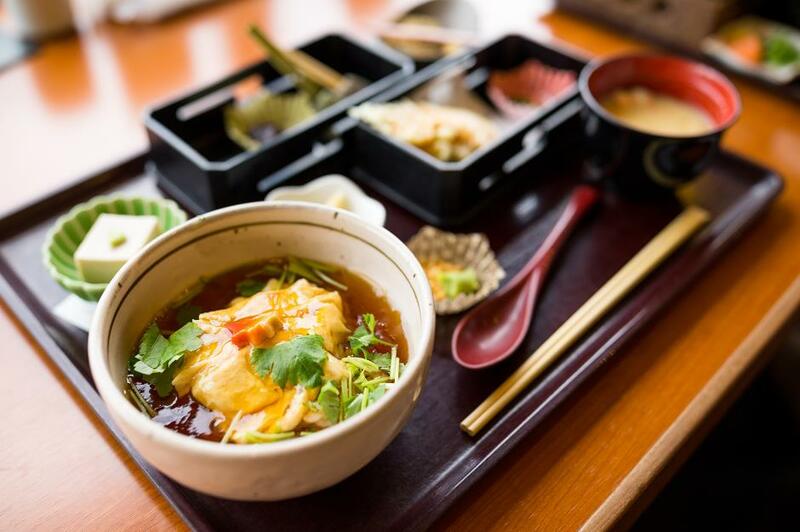 The city’s main speciality is tofu – try yuba (tofu skin) and yudofu (tofu cooked in hot broth). You should also aim to sample kaiseki, which is a Japanese take on haute cuisine, and shojin ryori – the Japanese Buddhist vegetarian cuisine. It was in the city’s coffee houses where the Viennese culture was shaped at the end of the 19th century. Pop in for a cup of melange – a shot of espresso served in a large cup with steamed milk and froth. It’s best enjoyed with traditional desserts like apple strudel, a chocolate cake with apricot jam called Sachertorte (pictured) or Esterhazytorte – a liqueur-infused buttercream sandwiched between delicate layers of almond or hazelnut meringue, topped with white fondant. 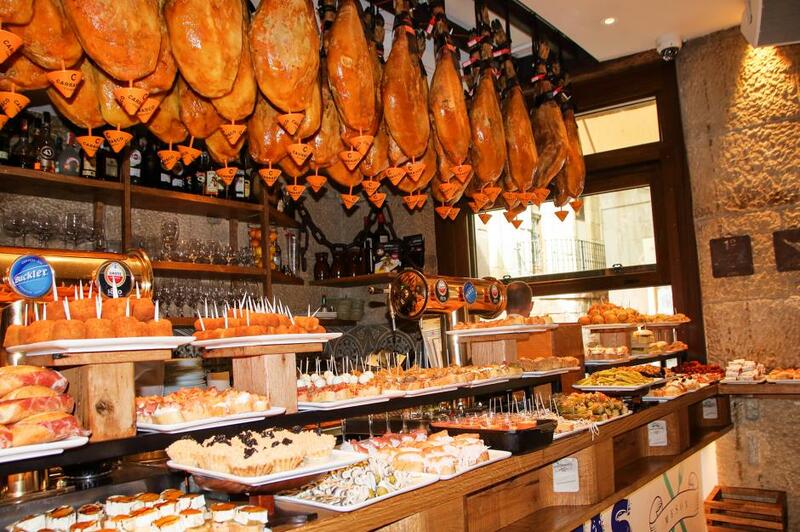 This small city in the outskirts of Barcelona is a must-visit for any food enthusiast. 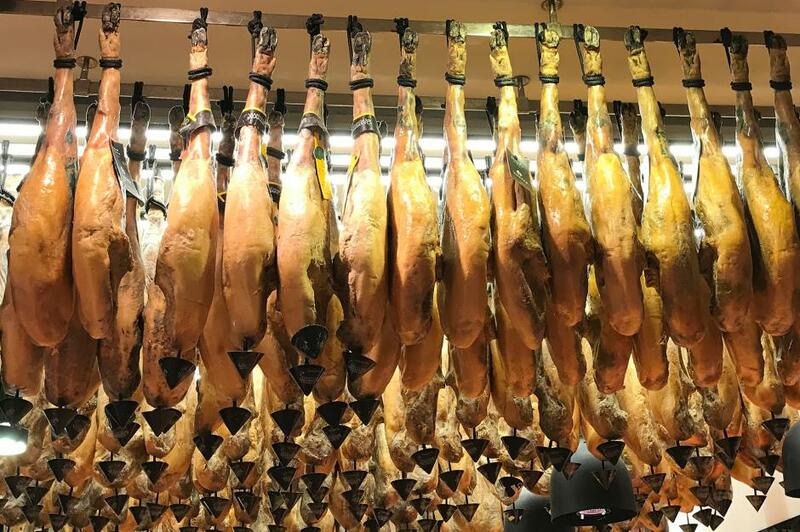 From some of the best olive oils, sundried tomatoes and cured meats in the country to Cava and xuixo pastries (pictured), there’s plenty to get excited about. It’s also home to one of the best restaurants in the world, El Celler De Can Roca, currently ranked at number three. It’s almost impossible not to eat well in Rome. Obviously, there are countless pasta dishes on offer, including the much-loved carbonara, but you might not know that the Romans also have a penchant for deep-fried food. Street food stalls across the city sell morsels of crispy batter filled with the likes of salt cod (baccala), courgette flowers (fiori di zucca) and rice with ragù and mozzarella (supplì). Read our expert's guide to Rome here. It shouldn’t come as a surprise that Dubai has been rated as the top destination for the diversity of cuisines available. This relatively new city is home to a diverse expat community and the best place to celebrate the flavours of the world, from brilliant street food dishes to sophisticated fine-dining and everything in between. 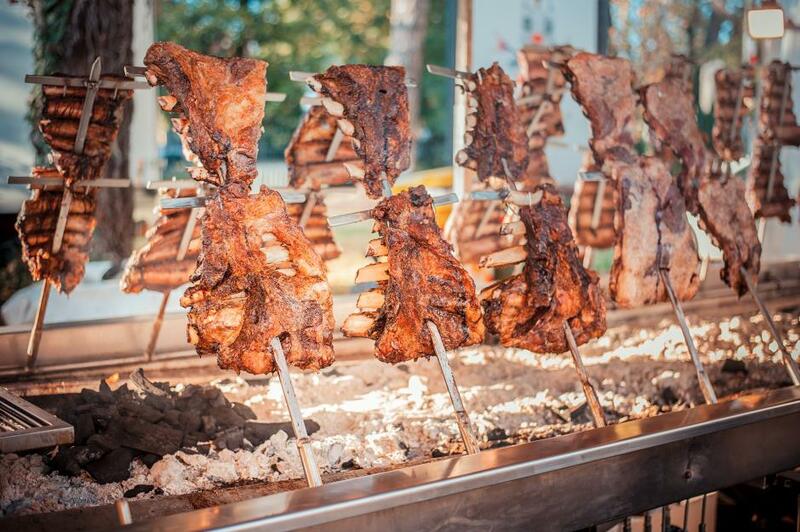 If you fancy something more unusual, try camel meat – a traditional ingredient in many Emirati dishes. Find out where to eat in Dubai with our guide here. 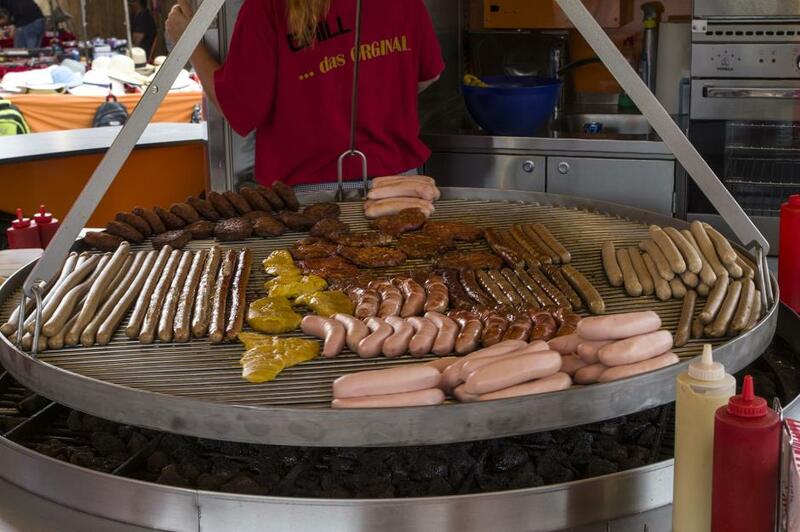 A vibrant food scene is thriving alongside the businesses and banks in Frankfurt. 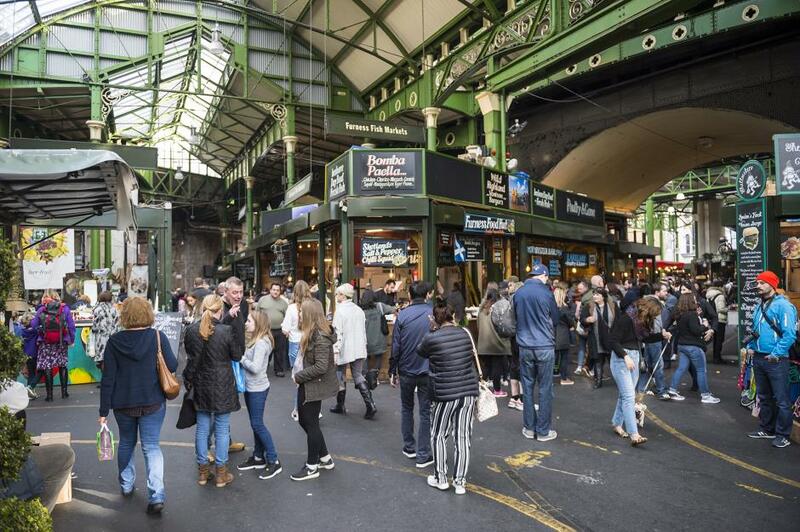 You can experience the best of the city’s food scene in its many gastropubs, beer gardens, cider houses and top restaurants. 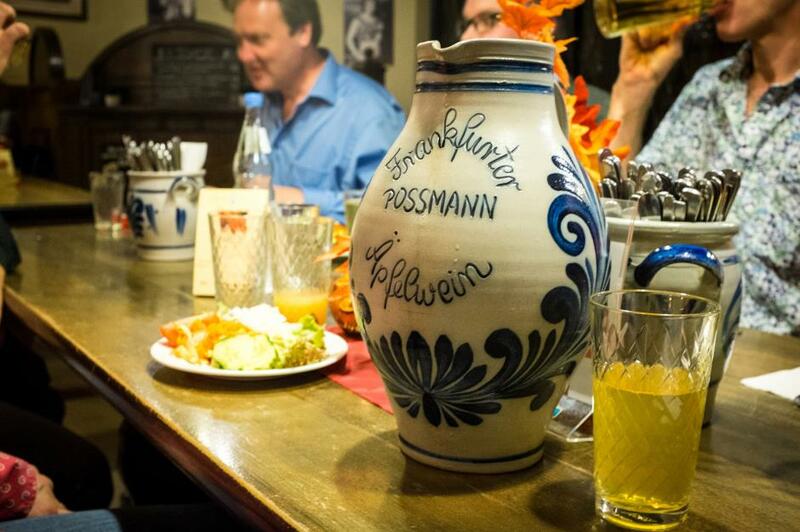 For traditional Hessian (Frankfurt is in the Hesse state) flavours you must try Apfelwein. Typically served in a locally-made grey and blue mug, this apple cider can be enjoyed suss (sweet) with lemonade or sauer (sour) with mineral water. When visiting this city on the French Riviera, you just have to have a plate of salade Niçoise. Tucking into the a delicious ratatouille is another essential, as won’t a caramelised onion tart called pissaladiére. The traditional peasant snack of Nice, socca, is a thin, crusty chickpea pancake that can be enjoyed hot straight from the oven with a glass of the local rosé. Known for its ornate shrines and active street life, Bangkok is often the gateway for further adventures in southeast Asia. Linger for a while, though, and you’ll discover a fabulous food scene. 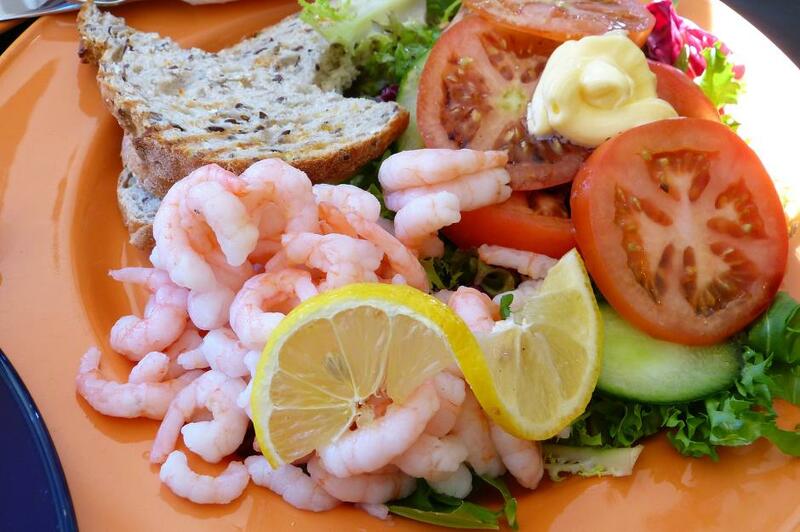 There are roasted meat and seafood dishes aplenty, from pork, duck and chicken to prawns and crab. You also mustn’t forget about tom yum, the national soup of Thailand, and som tum, the fresh papaya salad. Visiting this German harbour city is an excellent opportunity to sample the north German dishes that are lesser-known than the country’s southern cuisine. Due to the easy access to the North Sea via the River Elbe on one side and Lübeck on the Baltic coast nearby, there are many seafood dishes to enjoy in Hamburg. Try a humble fish roll with pickled herring, pan-fried plaice with bacon, or labskaus – a plate filled with corned beef, mashed potatoes, fried egg and all things pickled. The Danish capital is often named as the happiest place in the world to live in and, considering the food on offer, we’re hardly surprised. 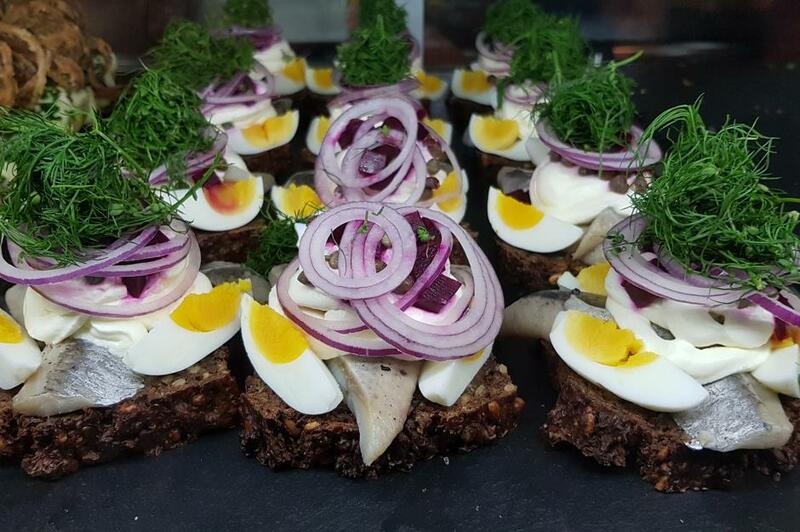 With plenty of toppings available, the open sandwiches, called smørrebrød, are the only way to do lunch in Copenhagen. And when it’s time for dinner, seek out one of the ultra-modern new Nordic kitchens serving up inventive dishes. 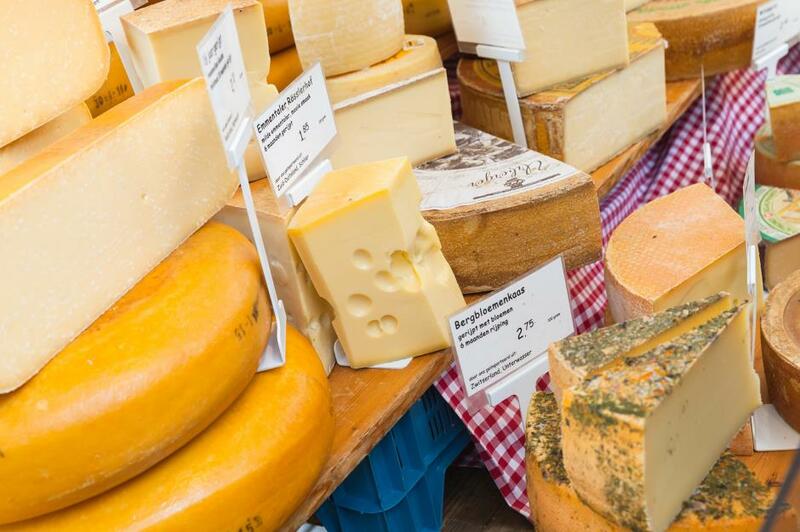 A cheese lover’s paradise, the Netherlands have some great varieties on offer, like edam, gouda, emmental and maasdammer. If you’ve more of a sweet tooth, head to one of the many food trucks or street-side stalls for fresh stroopwafels, fluffy Dutch pancakes called poofertjes and oliebollen – sweet deep-fried dumplings covered in icing sugar. For more cheese, head into the Netherlands' Cheese Valley near Gouda. The capital of South Korea is a multi-faceted city where modern skyscrapers meet Buddhist temples and 22 Michelin-starred restaurants exist alongside countless street food markets. Bulgogi, Korean barbecue gogi-gui and kimchi are all a must in Seoul, however, a lesser-known Korean delicacy is sannakji, or octopus sashimi. It’s a dish not for the faint-hearted as the severed tentacles have a tendancy to wriggle on the plate. Oslo can be an expensive destination, especially for food, don’t look past its growing culture of food trucks serving up anything from burgers and fries to sushi and Thai curries. 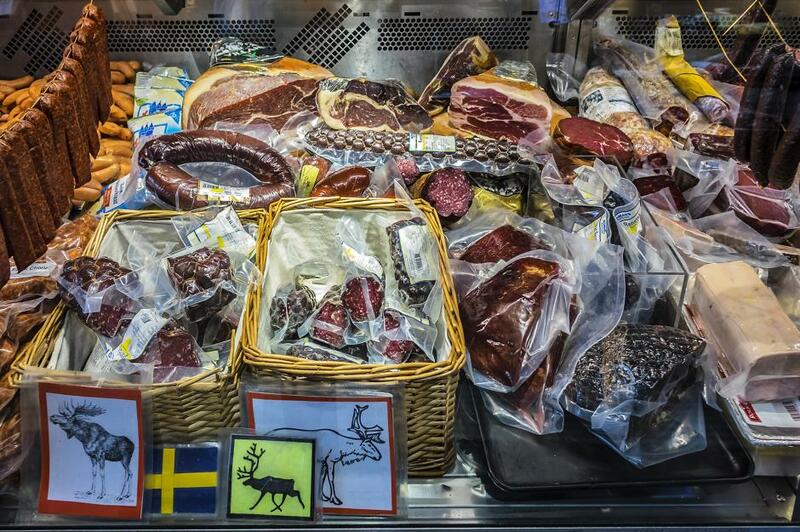 For a more traditional Norwegian take on food, aim for seafood and local delicacies like reindeer, moose and lutefisk – cod cured in lye. 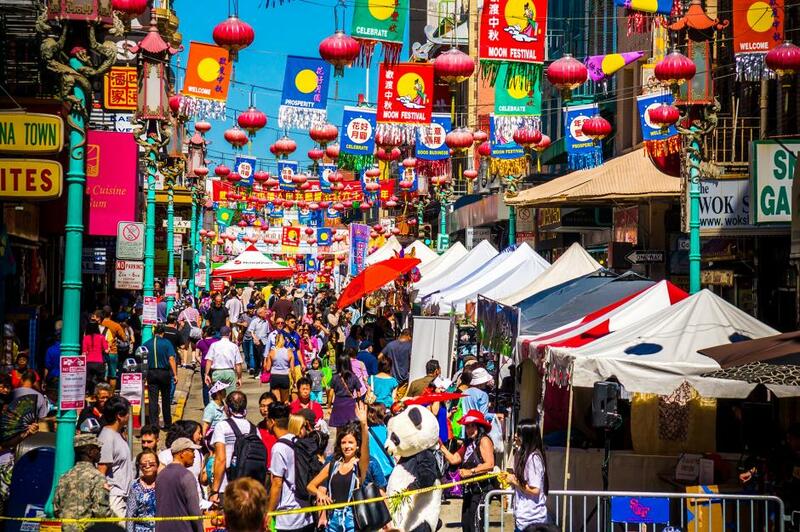 Almost as famous for its food as it is for the Golden Gate Bridge, San Francisco has plenty on offer, including some of the best Chinese food in the country. Joe’s Special, a delicious bowl of spinach, onions, mushrooms, ground beef and eggs, is one of the city’s most famous dishes. According to a story, the dish dates back to 1932, when the chef of New Joes Italian-American restaurant told a musician after a late show that he had nothing else left in the kitchen. The artist famously had replied with: “Mix ‘em together!” and the meal was born. Contrary to what IKEA might make you think, Swedes don’t actually eat meatballs in gravy all that often. In fact Stockholm has such a diverse culinary offering, with Michelin-starred kitchens, Scandi cool restaurants, laid-back coffee houses and food trucks crisscrossing the city, you might not even have meatballs once. Try deer steak, pickled herring, lingonberry sauce and, of course, kanelbulle – the Swedish cinnamon bun. In The City of Angels you’ll be spoilt for choice – LA is home to some of the top restaurants, affordable eats and countless food trucks. 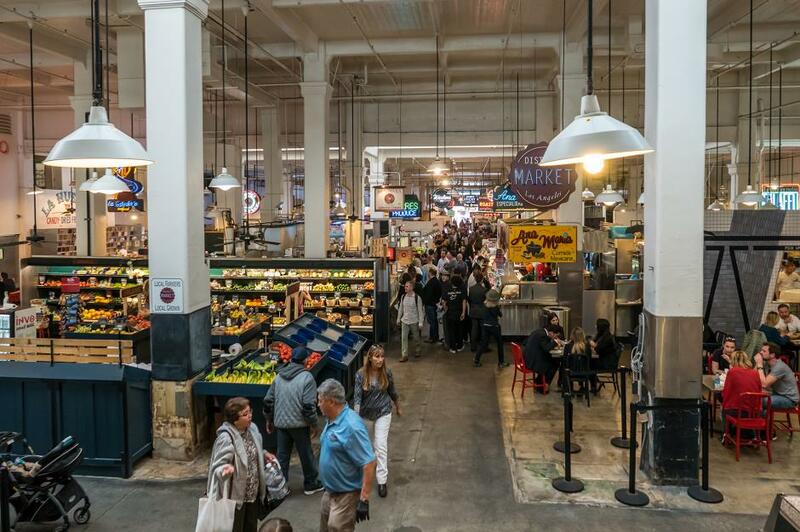 If you want a snapshot of Los Angeles’ food scene, head to the Grand Central Market and tuck into everything from falafel to pastrami sandwiches. 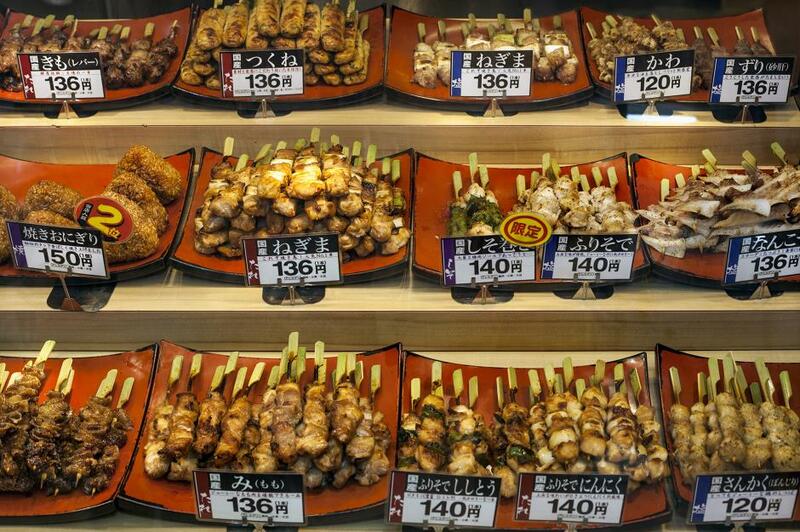 Japanese people love to eat well and Osaka is a spectacular place for it. It's home to one of the largest fish markets in the country, so expect taste lots of incredibly fresh sushi and sashimi. 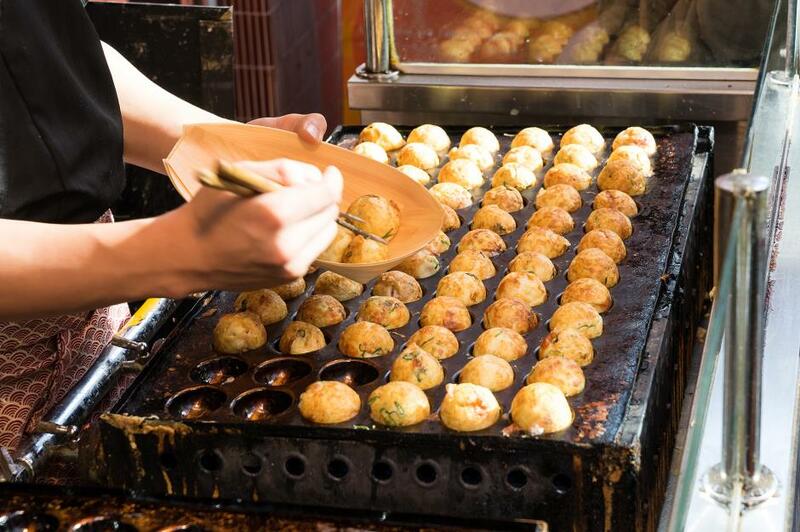 And when you spot a street food stall go for takoyaki: balls filled with salty octopus topped with mayo, and kushikatsu, which refers to anything that’s skewered, battered and deep-fried. 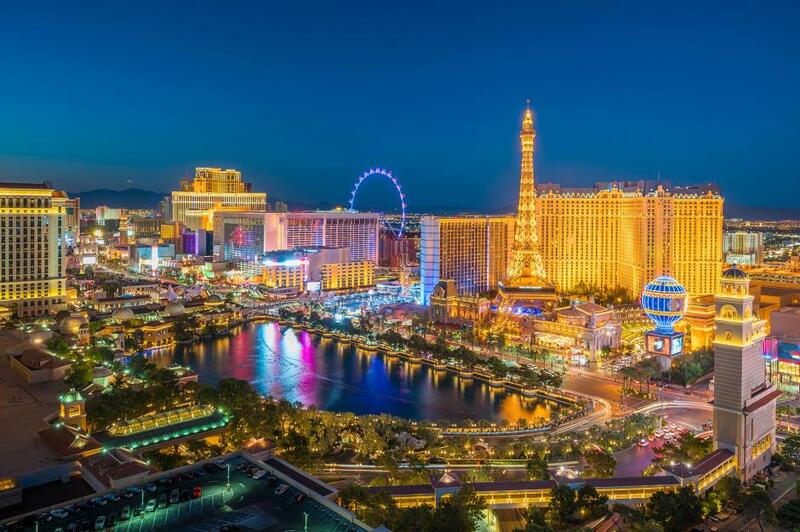 There’s no other place in the world as indulgent as Sin City and that applies to the food here too. There are 12 Michelin-starred restaurants, as well as establishments run by some of the world’s best chefs, so you’re in for superb dining. If you’re more of a casual eater, work your way through Las Vegas’ generous offering of tacos, burgers, steaks and grilled sandwiches. Munich is best known for Oktoberfest and the hearty Bavarian food available across the city. It is doughy, fatty and full of carbs but considering the amount of Bavarian beer you’re likely to drink, it’s necessary. Get a pretzel, stewed sauerkraut and a weisswurst (a thick, white sausage made with veal and bacon) for lunch and when the dinnertime comes, tuck into spaetzle – little chewy dumplings served with a lot of cheese and crispy onions. Once you’ve seen Big Ben and the Buckingham Palace, it’s time to dive straight into London’s incredible food scene. 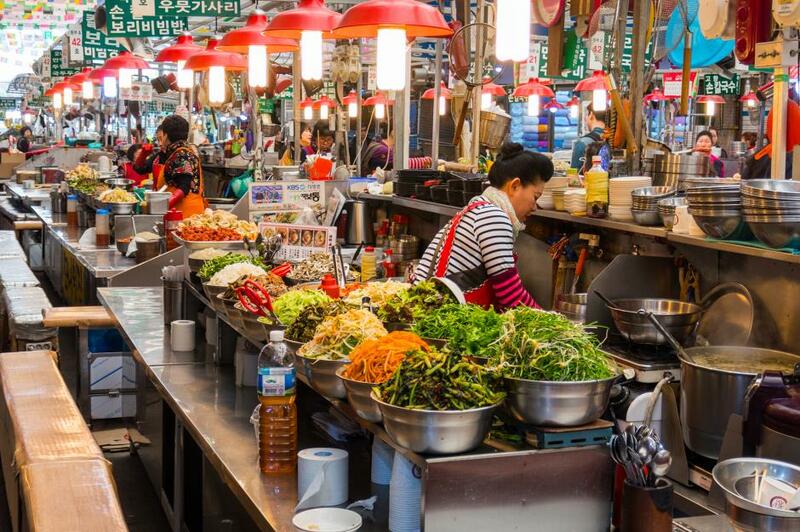 Eat your way around the world in one of the many street food markets scattered across the city, and treat yourself to a gastronomical adventure in an array of exceptional restaurants. If you’re after a more ‘local’ experience, go to a pub, order a pint and tuck into fish and chips, pie with mash and gravy or a roast dinner. Read our guide to London to find out the best restaurants. 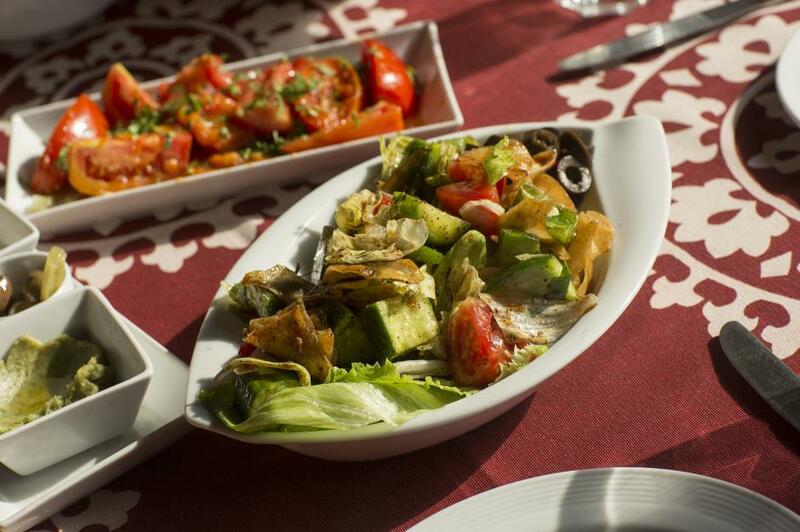 You can’t visit Peru without trying the country’s signature dish ceviche. 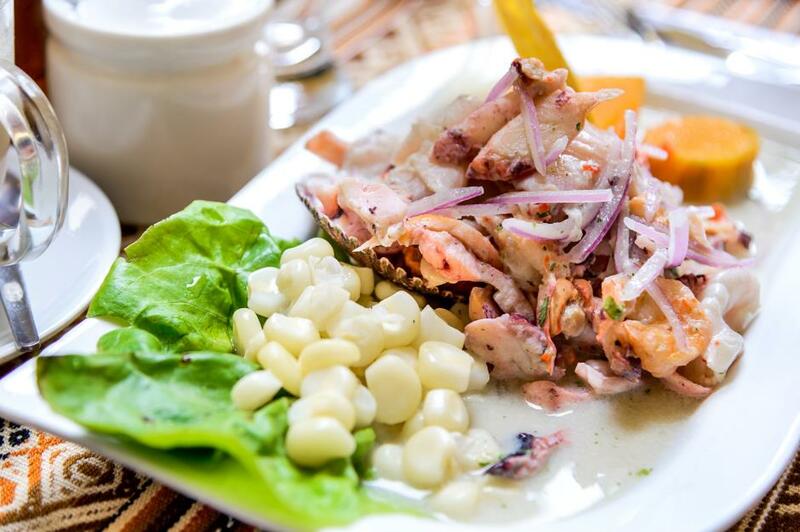 In Lima you’ll find variations of this cured raw seafood dish everywhere, from humble street food carts to top restaurants. A very peculiar aspect of culinary tradition in Peru is the Nikkei cuisine – a mix between Peruvian and Japanese flavours and ingredients. Try lomo saltado – sautéed strips of Peruvian beef marinated in soy sauce, vinegar and spices. Madrid’s manicured parks, beautiful buildings and excellent museums offer the perfect setting for some of the best nightlife, entertainment and food. Enjoy platters of Serrano ham and Manchego cheese with a glass of red at the San Miguel market. Have churros for breakfast, and then a calamari baguette (bocata de calamares) for lunch. You’ll soon see that good food in Madrid means slow enjoyment and lengthy conversations with plenty of good wine. 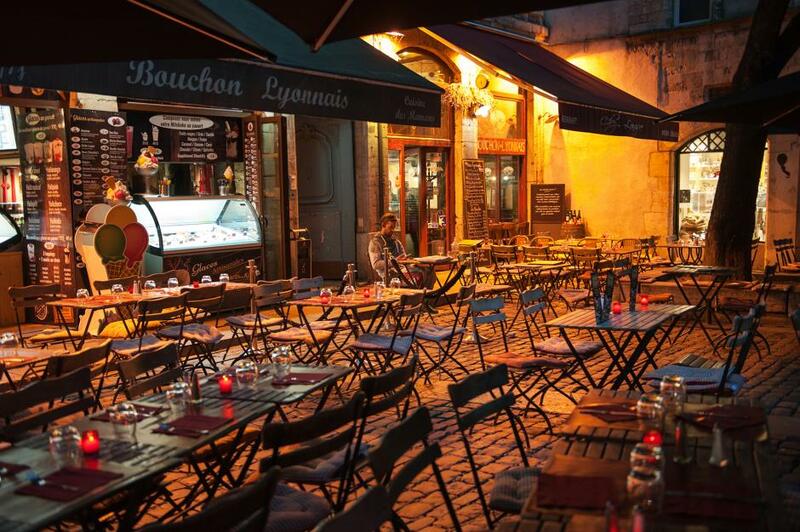 Often regarded as the food capital of Europe, if not the world, Paris is a foodie’s dream. 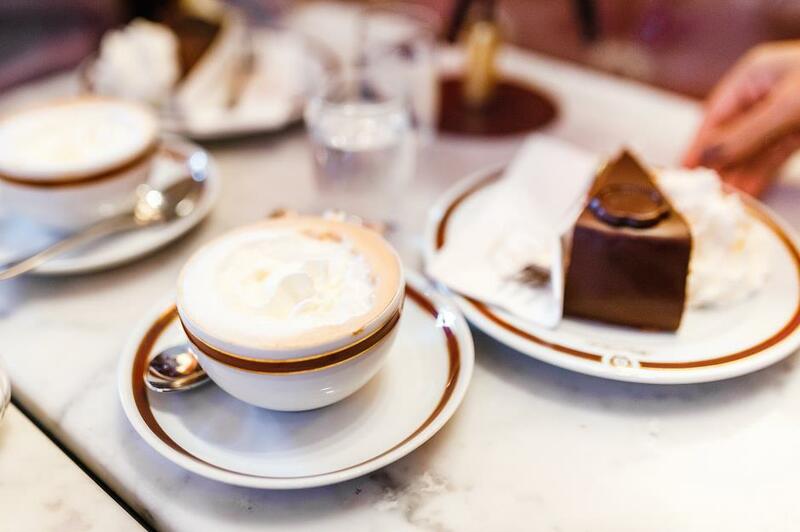 Start with pastries for breakfast, go for lunch in a typical French brasserie, enjoy macarons, caramels and chocolates in the afternoon and finish the day with a gourmet dinner at one of the many haute cuisine establishments. 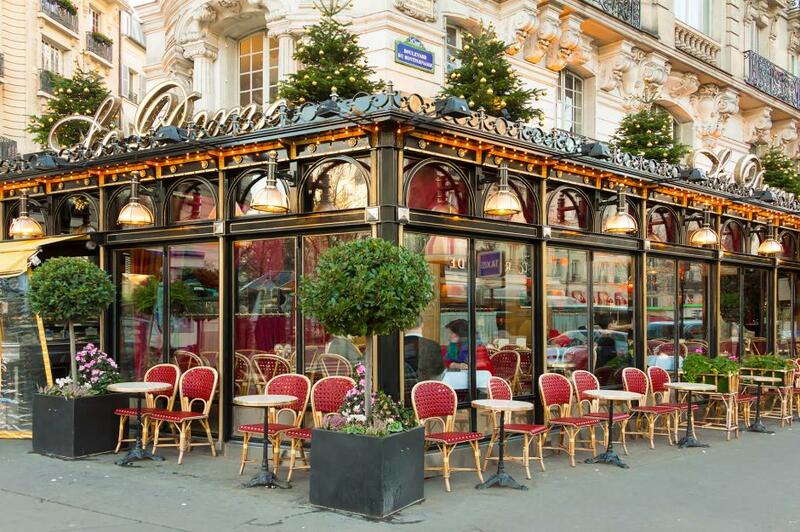 Our guide to Paris will tell you everything you need to know about where to eat in this city. 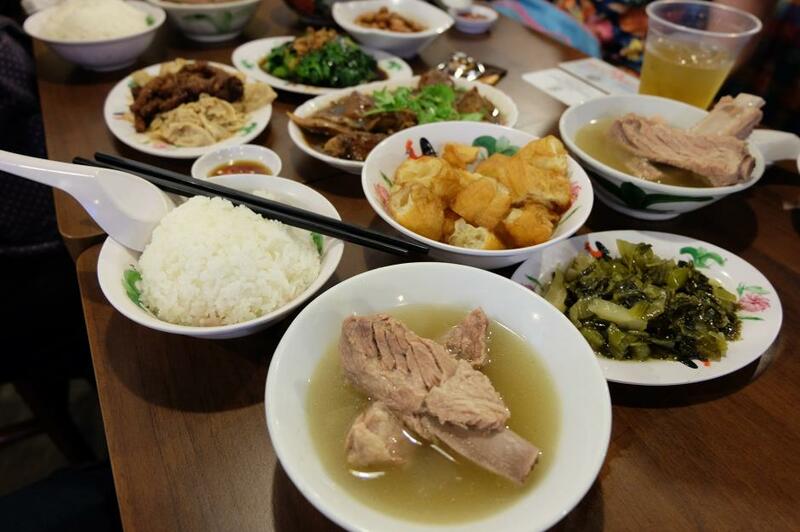 It’s no surprise that Singapore has some of the most delicious food on offer anywhere in the world. Try Hainanese chicken rice – a quintessentially Singaporean dish that’s available to order almost anywhere. Other must-try dishes include laksa, chilli crab and roti prata – a flatbread cooked over a flat grill and served with many curry dishes. In Barcelona food always comes first. 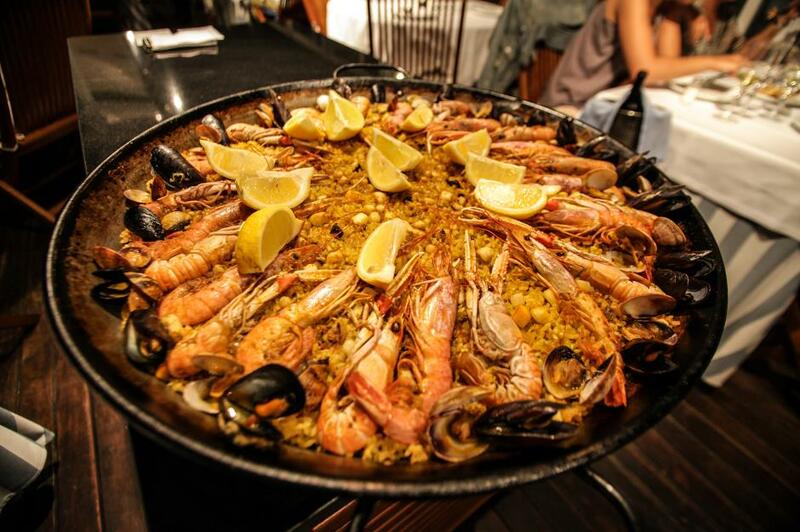 Order one of the city's most famous dishes, paella, or go for tapas available pretty much anywhere in the Catalan capital and you'll be in for a treat. Be sure to leave room for dessert: the highly controversial crema Catalana is their take on a creme brûlée and it’s still widely disputed whether it originated in France or Catalonia. Get the lowdown on where to eat in our Barcelona guide here. Shun the tourist trap restaurants of Times Square and go in search for the real taste of New York. 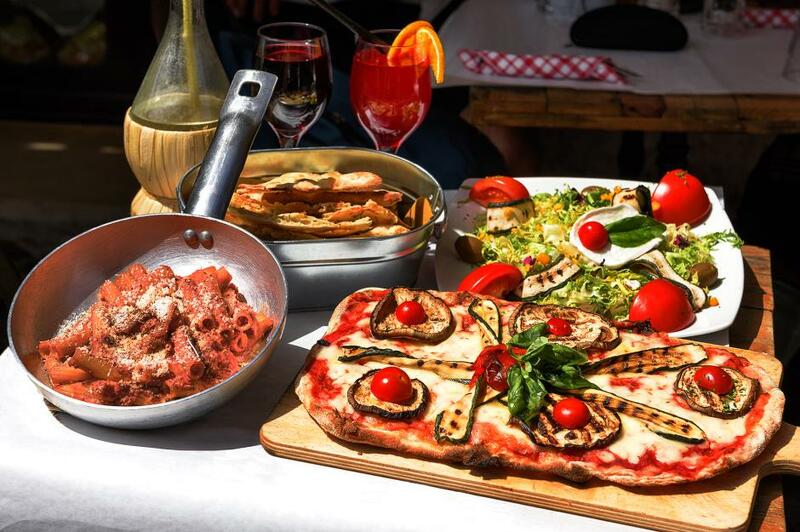 You’ll find it in the Neapolitan-style pizzerias in Brooklyn, bagel shops, burger joints and food trucks, serving anything from Belgian waffles to kimchi tacos. 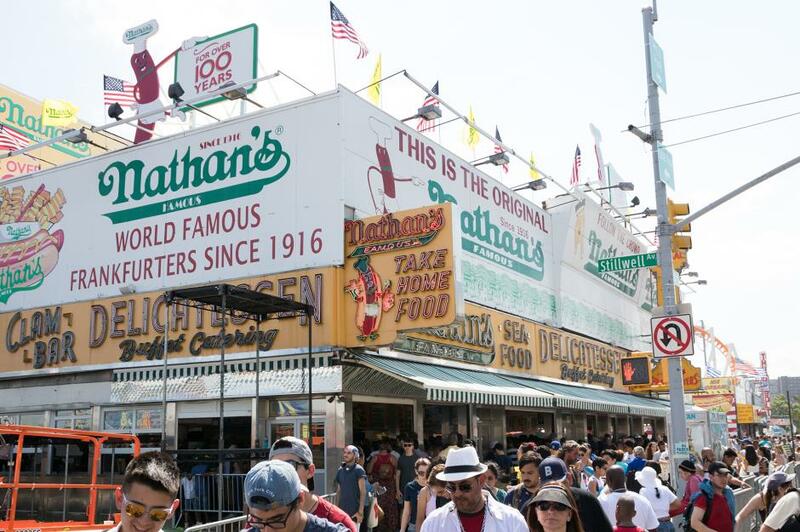 For an old-school New York food experience head over to Coney Island and get a hot dog with a frankfurter. Read our guide for the low-down on where to eat. This enormous city has made second place on Caterwings' list, and we know exactly why. Tokyo is the hub of all Japanese food, with ultra-fresh sushi, warming ramen or soba noodles, and delicious katsu curry. Don't miss the ultimate late-night comfort food that is okomiyaki: a thick pancake with a batter base and whatever you want in the middle, topped with mayonnaise and barbecue sauce and grilled on a hot plate on your table. Another highlight is yakitori: head to atmospheric Omoide Yokocho (Memory Lane) and sit in any of the tiny establishments to feast on all manner of meat grilled on sticks. Read our Tokyo guide for more ideas on where and what to eat. Rated the best for high-end restaurants and the best for service, San Sebastian’s food scene also received a perfect score from the critics, making it the top foodie destination, according to Caterwings. The small Basque city is dotted with plenty of Michelin-starred restaurants and pinxtos bars, where Basque-style tapas is served. And don’t leave the city without trying kokotxas – hake or cod cheeks that are considered a delicacy in San Sebastian. Loved this? Like us on Facebook for more brilliant travel inspiration.